Taken at home on 04/14/05. 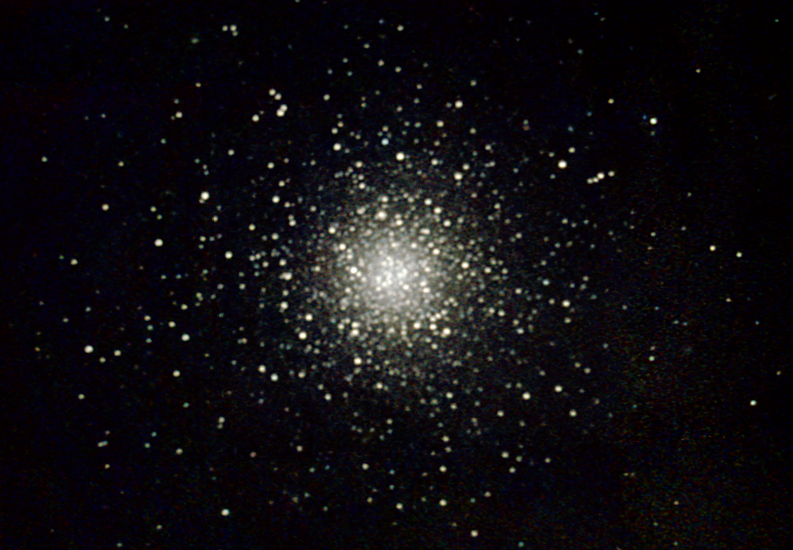 Meade LX200 GPS 8" scope DSI-C camera, alt/az mount. 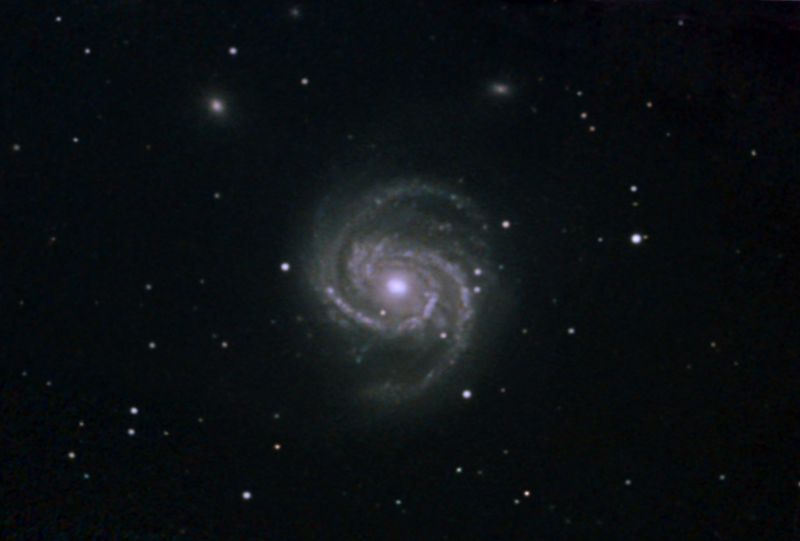 10-20 seconds/image, total time 65 minutes in center. 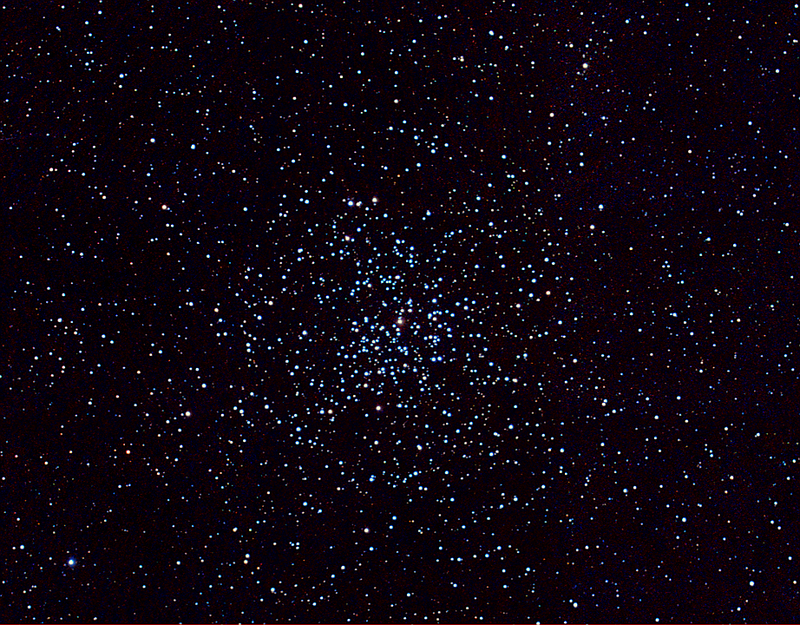 2 M37 Cluster in Auriga. Taken at home on 04/05/05. Meade LX200 GPS 8" scope, DSI-C camera,alt/az mount, IRB filter. 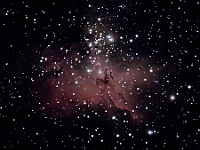 3x3 mosaic, 10 seconds/frame, 60 frames/sector, total time 90 minutes. 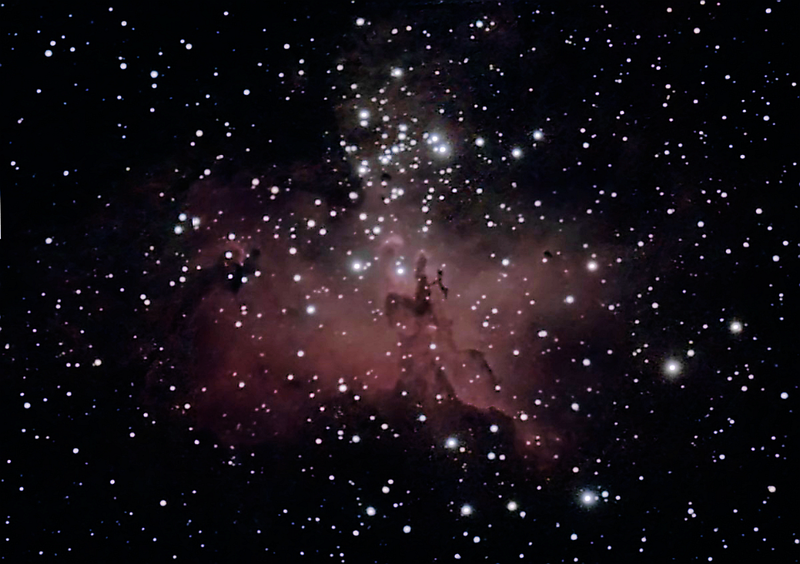 Photo was submitted to Meade contest and featured in Sky and Telescope advertisement. 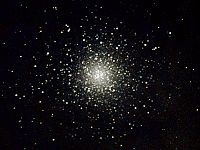 3 M53 Globular Cluster in Coma Berenices. Taken at home on 04/28/05 and 04/29/05. 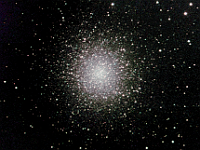 Meade LX200 GPS 8" scope, DSI-C camera, alt/az mount. No IRB filter. 10 seconds/image, total time 176 minutes. 2x2 drizzle with half of the quadrants exposed on each night. Taken at home on 04/04/05 and 04/09/05. Meade LX200 GPS 8" scope, DSI-C camera, alt/az mount, various filters. 10 seconds/image, total time 136 minutes. 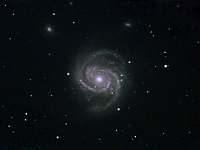 5 M100 Galaxy in Coma Berenices. Taken at H2O on 05/02/05. 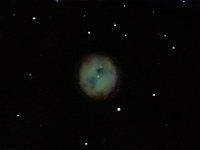 Meade LX200 GPS 8" scope, DSI-C camera, alt/az mount. 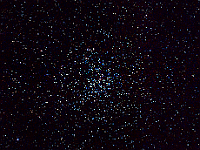 10 seconds/image, total time 135 minutes. 2x2 drizzle with extra images in the center.